The Wismec Presa TC100W has replaceable cell and magnetic back cover: Being magnetic, the rear cowl is intended for simple substitution the high-rate 26650 cell. 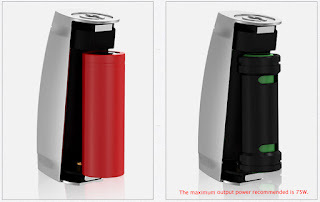 You'll conjointly use single 18650 cell with the assistance of battery sleeve. What does people say about Presa TC40W? Why to choose Wismec Noisy Cricket Mod?